The transformative power of spiritual experiences is well known-drug addicts have recovered after them, and hardened criminals have reformed. But is there a scientific explanation for this phenomenon, which Indians call “yoga”? Although Eastern traditions have long pondered this mystery, Western science has tended to dismiss spiritual experiences as whimsy on the part of believers. 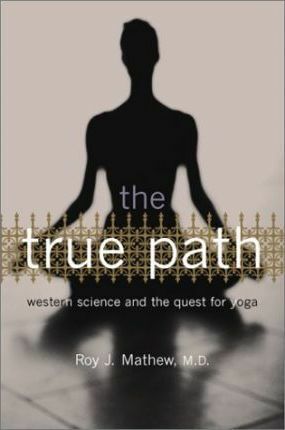 In The True Path, Roy J. Mathew draws on his own extensive knowledge of neuroscience to prove the age-old Indian idea that spirituality is a state of mind, a higher form of consciousness. He shows how the latest brain research supports the idea that quieting the neurons that control everyday activities allows for a more spiritual contemplation of life. As this part of the brain slows down, other parts become more freely expressed, promoting relaxation and pleasure in one’s surroundings. With scientific evidence that this “pure consciousness” truly exists, Mathew shows readers how to use meditation, yoga, and other traditional Indian methods of contemplation to achieve this spiritual state of mind.